Home > Featured > Why Is PDF The Best File Format? Portable Document Format or as everybody know it PDF, is the most popular file format in the world. What makes this format so special is the fact that it is able to capture more than the simple text of a document. PDF formats are renowned for being able to present graphic designs alongside the text such as pictures. Today we’re going to go over all of the benefits that using PDF brings. This is cross-platform software which means that it can be used on all possible platforms. 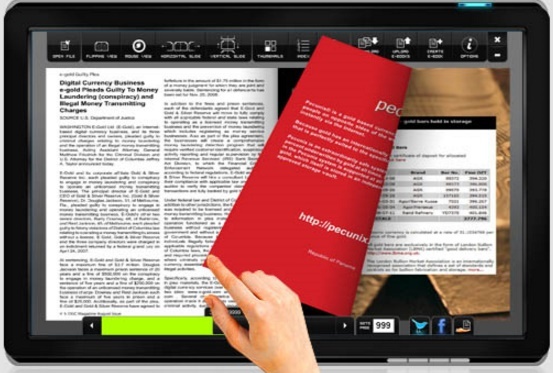 Users can downlaod pdf for windows, Mac and, even for the mobile iOS and Android operating systems. This is surely one of the reasons to why PDF is so popular right now. Unlike other software, PDF doesn’t limit its availability to only one platform. Hands off, the best feature PDF files have is that they are searchable and editable. This feature can be very useful when the PDF document is made from additional files. Also, as previously mentioned PDF files are known for not sticking to only presenting text. Users can insert images and objects in the file and the best thing about this is that all of the attached files will be compressed. This means that the PDF’s size will only be a fraction of the original file. Even better, the graphic quality will not be altered by the compressing process. All magazines, books, bills and so on use PDF format. There’s a golden rule that everything that’s official, uses a PDF format. For example when people receive bills in their inbox, the format used will always be PDF. This is because PDF is considered as being the most formal format. It’s the perfect choice for a office presentation or for a school project. As previously mentioned, PDF is the most formal format. It is being used by all major companies. The reason behind this is because PDF allows companies to add digital signatures and certificates to it. This is very important since it makes sure that no one who isn’t allowed will tamper with PDF file. This is why companies are able to send out official PDF files without being worried that someone might alter them. To show how much attention to detail Adobe has put in PDF, this format supports semantics. This is what truly separates PDF from other formats. This way, people with disabilities can still get access to the information. Users can attach semantics such as diagrams, sketches and multilingual components to a PDF file.